Waiter, waiter, what’s this black thing doing in my salad? It’s a tomato, sir. It may sound like an old joke, but when it comes to tomatoes, black is the new red. 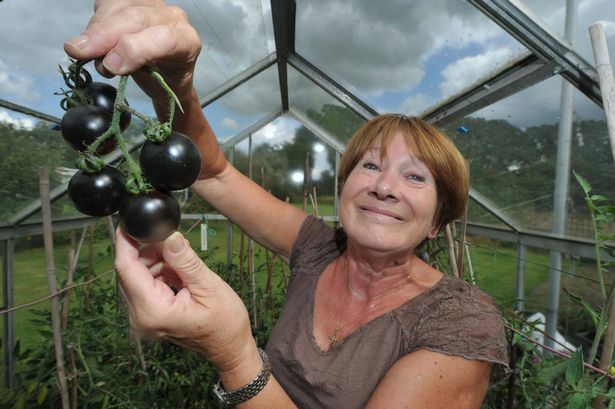 And this crazy crop of coal-coloured toms have been grown by keen Dorridge gardener June Bowskill. 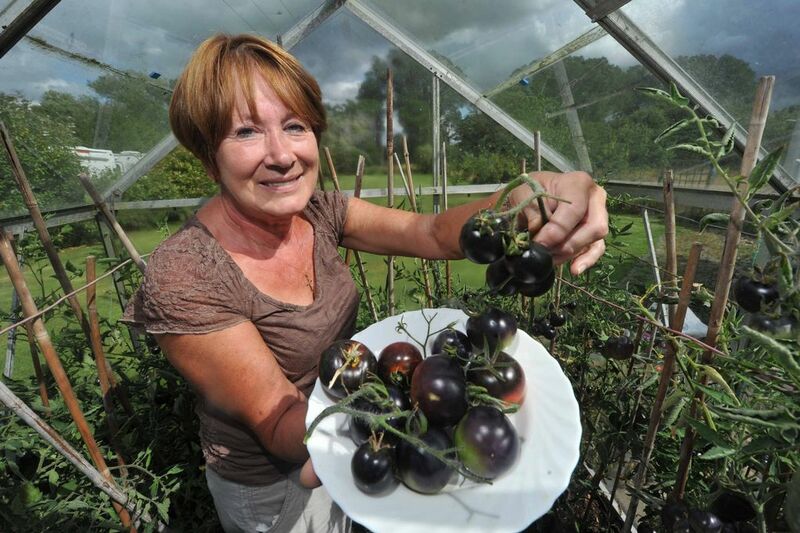 The 64-year-old’s confused fruit will soon be served at Knowle restaurant Janitos, part owned by son-in-law Stuart Bray. The black tomatoes may look a little off-putting, but June’s sure the eatery’s customers will soon ketchup with the craze. She grew the vines from seeds, given to her by intrepid brother Ray Brown. The former car worker travels to some of the remotest regions to uncover new species for his Newton Abbot, Devon, business – Plant World Seeds. The Coventry-born 68-year-old recently became marooned on Sakhalin, an island off the Russian east coast, while searching for flora and fauna. And he’ll soon scour the foothills of Everest. But Ray didn’t need to consult his tom tom to locate the rare black tomatoes. They were posted from America and it is believed the strange strain was developed at Oregon State University. The dark skin means the fruit is loaded with anthocyanins, which is believed to help in the fight against cancer, diabetes and obesity. Ray presented her with seeds at Christmas and the fruit, normally notoriously fickle, has flourished. But if the craze, which promises to give salads a real dressing down, catches on, who knows what uses will be found for Indigo Rose tomatoes. Black ketchup, anyone? Former Warwickshire player Darren Maddy plundered 106 off 99 balls and found plenty of support from another former Bear, Dominic Ostler. A popular Knowle cyclist who died suddenly was remembered at a riding event attended by 150 well wishers.